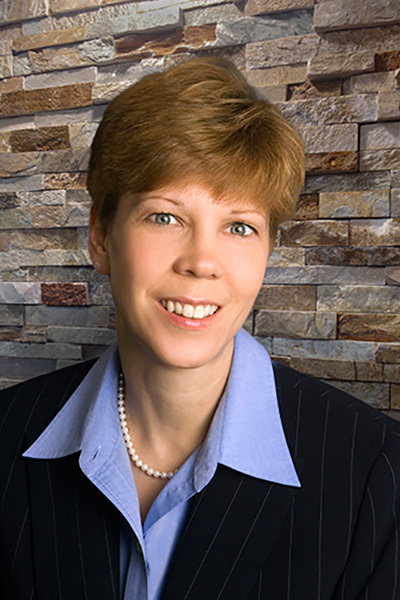 Susan Sturman Jennings is Senior Vice President and General Counsel of Conifer Realty. She is responsible for closing Conifer’s tax credit and real estate transactions, advising on compliance, construction and property management matters and implementing policies to mitigate liability while keeping in mind Conifer’s values, objectives and strategic plan. Ms. Sturman Jennings is a member of Conifer’s Senior Leadership Team, a diverse team of experts who focus on establishing Conifer’s global strategic initiatives and creating a collaborative culture that encourages leaders to rise at every level of the Company. Prior to joining Conifer in 2000, Ms. Sturman Jennings was a principal of Hessel & Aluise, P.C., in Washington, D.C. where she represented developers, nonprofit organizations and lenders in Federal Housing Administration, Federal National Mortgage Association and conventional financing transactions. She also advised clients on issues regarding property management, mark-to-market, other HUD subsidy programs and state agency regulation of affordable housing. Ms. Sturman Jennings began her career as an attorney with the US Department of Housing and Urban Development. She was Program Counsel for the LIHPRHA Preservation Program and also addressed issues pertaining to transfers of physical assets, property disposition, Section 8 assistance and mortgage insurance claims. Ms. Sturman Jennings received her Bachelor of Science Degree in Public Policy Analysis from Cornell University and earned her Doctor of Jurisprudence, with a concentration in State and Local Government Law, from the State University of New York at Buffalo School of Law. She is a member of the New York State and District of Columbia bars and recipient of The Daily Record’s 2016 Top Counsel Award. She has spoken frequently before the American Bar Association, National Housing & Rehabilitation Association, New York State Association for Affordable Housing and other industry groups on affordable housing issues. She is currently a member of the American Bar Association’s Forum on Affordable Housing and Community Development Law, a board member of the YWCA of Rochester and on the Monroe County Empowering Women Luncheon Committee and the Greater Rochester Housing Partnership’s Martin Luther King Fund Committee. Ms. Sturman Jennings was Vice President of the Board of Directors of Cornell Cooperative Extension of Monroe County.